This rare photograph - the front of a Bamforth postcard - shows an unidentified bearded gardener mowing the school tennis courts in 1903. The familiar buildings in the background were all relatively new. The laboratory block on the left was only three years old, built for a total cost including fitments of some £842. 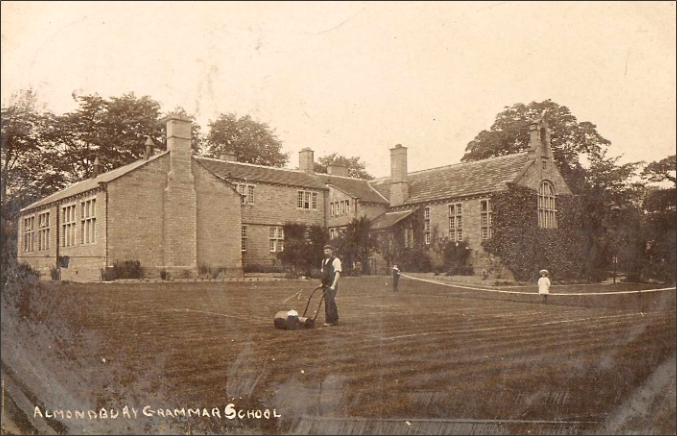 Fenay Quad, to its right, was formed as part of the school extensions that took place between 1880 and 1883 at a further cost of over £2,000. Robert Crump was headmaster at this time, having been appointed in succession to Leonard Griffiths at the end of 1900. In the middle distance, behind the gardener, are Crump ’s two children Robert (‘Robbie’) aged 8 and Marion (11). Robbie and Marion will be delighted to come to you on Monday. I shall have to send for them to return at 6.30 as I have an engagement at 7.30 and must put them to bed first. Many thanks. These were happy days for the Crump family. Robert, formerly Assistant Master at Bath Grammar School, had made an excellent start at King James ’s, boosting the number of pupils on the register from 29 to 44 in his first three years. 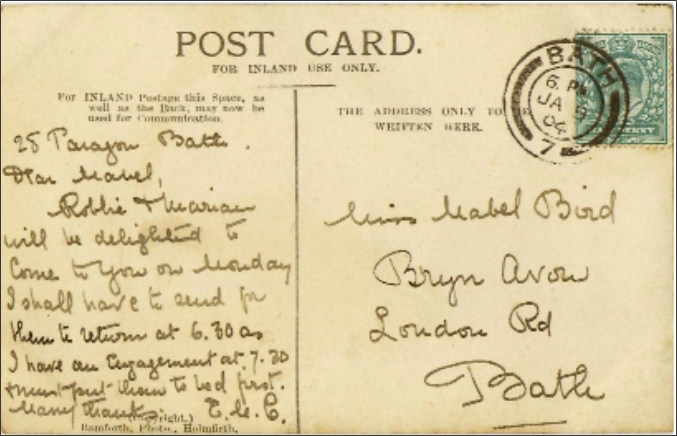 By 1908, the number had risen to over 100. But little did Mrs Crump know that in due course it would all start to go wrong. A combination of the notorious 1905 Sadler Report (which proposed that the school should become Huddersfield ’s principal secondary school, provoking fury from Huddersfield educationalists and others with vested interests) and other educational changes in Huddersfield caused numbers to fall again. In 1912, Crump - a sensitive man with a love for the open air - lost confidence and abandoned his school, his wife and family in an unsuccessful attempt to become a fruit farmer in British Colombia.